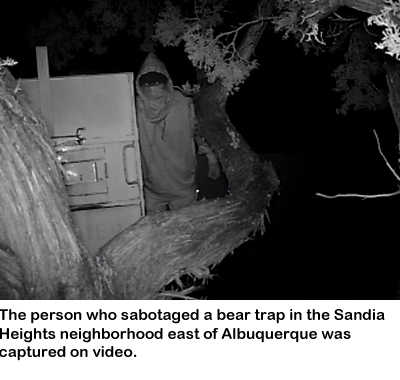 A dangerous bear that broke into a house and bit the homeowner remains on the loose today in the Sandia Heights neighborhood east of Albuquerque, partly because someone sabotaged a Department of Game and Fish trap intended to catch the bear. The Department has video of someone deliberately sabotaging a baited bear trap set at the home of the man who was bitten by the bear early Friday morning. The person who sabotaged the trap has put area residents in danger and could face charges if apprehended. Anyone with information about the incident is asked to call the Department at (505) 222-4700. The Department needs to catch the offending bear to prevent anyone else from being injured by it. 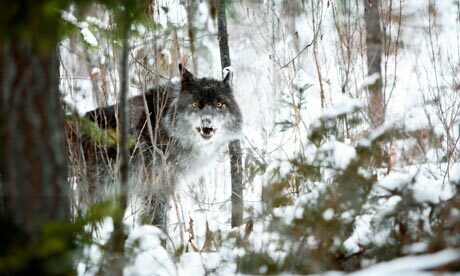 The state Department of Health also requires that any wild animal that bites a human to be killed and tested for rabies. 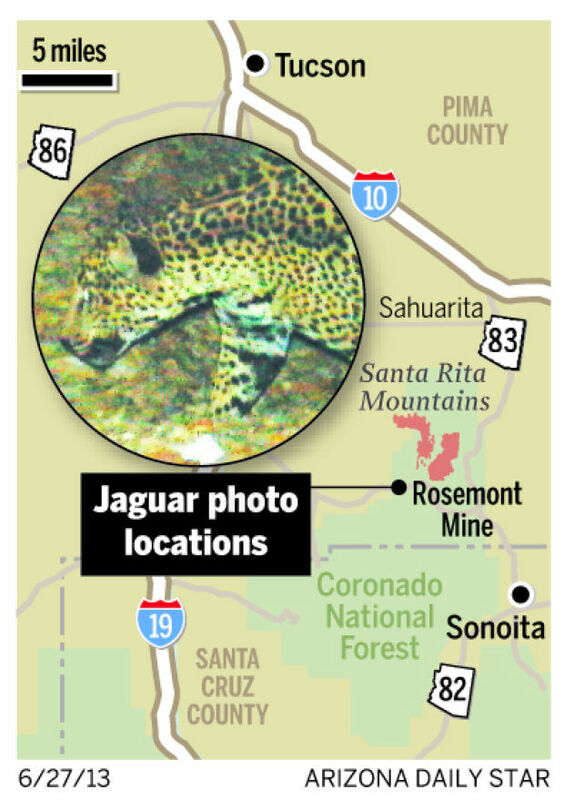 Friday’s incident in Sandia Heights is another example of abnormal and dangerous bear behavior caused by habituation to humans as a food source. Many bears in the foothills of the Sandia Mountains have become accustomed to finding easy meals in residents’ trash, birdfeeders and pet food dishes. Some homeowners also have been known to intentionally feed bears, falsely believing that the bears have no natural food available. Supplemental feeding of bears leads to unnatural and dangerous behavior, and often leads to the bear’s death. Long live the queens. A species of bumblebee that went extinct in its native Britain decades ago now has a second chance, as several short-haired bumblebees (Bombus subterraneus) were released June 3 in a restored habitat on the southeastern corner of England. This is the third phase in a multi-step effort to both bring back the species and teach the public about the value of the U.K.’s declining bees, some species of which have decreased by 80 percent or more in recent years.